1 Who is Richard Armitage? 1.7 Where is Richard Armitage Now? 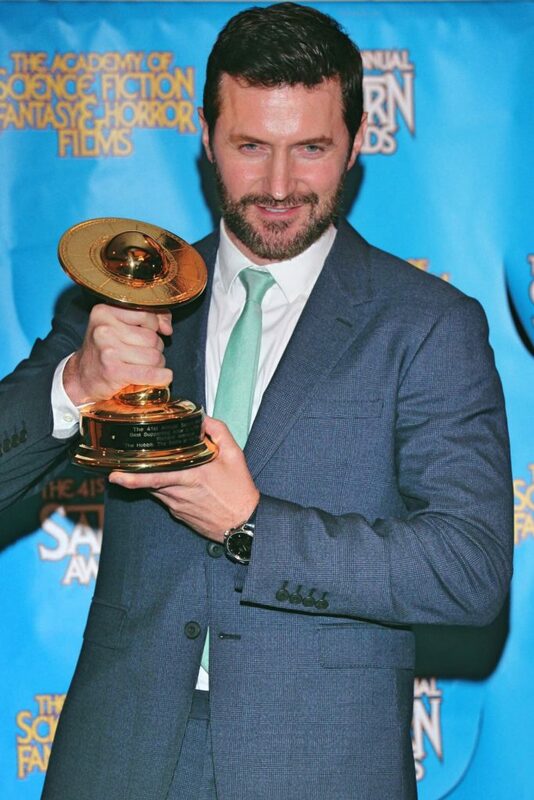 1.9 Do You Know How Rich Successful Actor, Richard Armitage Is? 1.10 Do You Know About Richard’s Personal Life, Affair, Girlfriend, Engagement, Wedding? 1.11 Is Richard Armitage on Social Media? 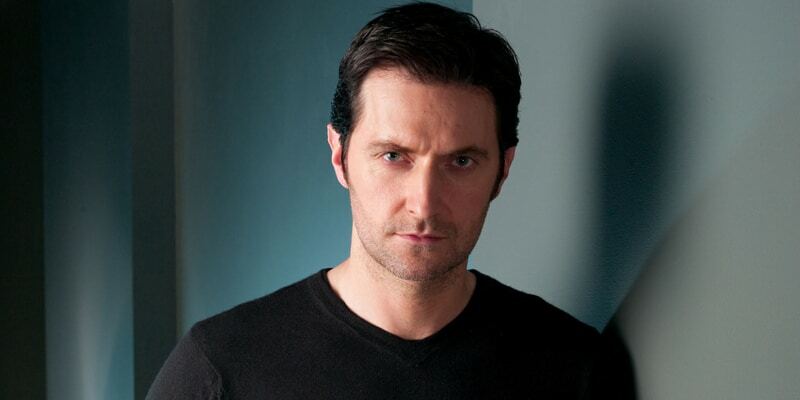 Richard Crispin Armitage was born on the 22nd August 1971, in Huncote, Leicestershire England, and is an actor, known for his appearances in British TV series; “North and South” as John Thornton, as well as on the “Spooks” TV drama in which he portrayed Lucas North. However, it was his role of the dwarf prince and leader Thorin Oakenshield, in Peter Jackson’s film trilogy “The Hobbit” that brought him recognition around the globe, especially among the fans of Tolkien’s books. 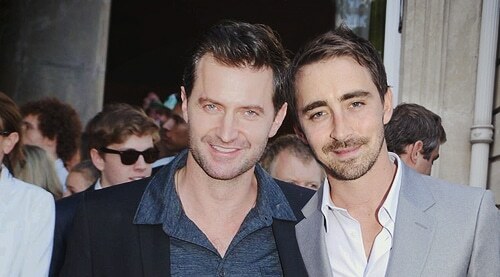 Raised in a middle-class family with his older brother, Chris, Richard is the son of Margaret and John Armitage. Richard first went to Huncote Community Primary School, then the local comprehensive school, Brockington College, at which young Richard showed a preference for music, which led to cello and flute lessons, and he soon participated with school and local orchestras. As his interest in performing arts developed, Richard asked for a transfer to Pattison College, a boarding school specializing in the Performing Arts, where he focused on drama and dance. His years at Pattison College were quite fruitful, as aside from music, he would also get acting experience, participating in several professional and amateur productions, such as “Half a Sixpence” and “The Hobbit”, among others. He later graduated from the London Academy of Music and Dramatic Art (LAMDA) in 1996. Richard would then venture to Budapest in order to obtain an Equity Card, needed for all the entertainment professionals to work and create in the UK. After this was completed successfully, Richard returned to England where he started appearing in musical plays and dramatic theatre productions, most notably in “Six Degrees of Separation”, and “Death of a Salesman”. Exploring his options, he started doubting if musical theatre was his right calling, and became more focused on Shakespearean productions, including “Macbeth” and “Hamlet”. At this time, he began appearing on television, with his first major role being as John Standring in the drama series “Sparkhouse” in 2002. In 2004, Richard secured his first starring role, as textile mill owner John Thornton in the TV series “North & South”, based on the book of the same name by Elizabeth Gaskell. The series became a complete success, which left BBC producers in awe, and Richard was branded a new ideal romantic leading man, and regarded as the next Mr. Darcy, played by Colin Firth in the mini-series “Emma”. Richard actually didn’t share their opinion, and continued his career with such roles as Peter McDuff in “Macbeth”. Continuing the pave his way in English productions, Richard starred in the TV series “Golden Hour” in 2005, while from 2006 to 2009 he was Guy of Gisborne in the TV series “Robin Hood”. His next notable role was as John Porter in the TV action-drama series “Strike Back” (2010-2011), which eventually resulted in him being cast as Heinz Kruger in the sci-fi action film “Captain America: The First Avenger” (2011), starring Chris Evans, Hugo Weaving and Samuel L. Jackson, one of his first notable roles in films, but the next role changed the entire course of his career. It was made clear by director, Peter Jackson, in October 2010, that Richard would be Torin Oakenshield in “The Hobbit” trilogy films, based on the books by J.R.R. Tolkien. The films, “The Hobbit: An Unexpected Journey” released in December 2011, in 2012 “The Hobbit: Desolation of Smaug”, and in 2013 “The Hobbit: Battle of Five Armies”, became both a commercial and critical success, launching Richard to stardom. Since then, he has been cast in blockbuster films, such as the action thriller film “Into the Storm” in 2014, then the drama “The Crucible” in the same year, while two years later he was King Oleron in another take on the odd life of Alice Kingsleigh – “Alice through the Looking Glass” – directed by James Bobin, and starring Johnny Depp, Mia Wasikowska, and Helena Bonham Carter; however, the film receiving mixed reviews. In recent years, Richard has starred in the drama film “Pilgrimage” (2017), and appeared in the female version of “Ocean’s Eight”, with Sandra Bullock, Cate Blanchett, and Anne Hathaway in the lead roles. Like many Shakespearean actors, Richard himself started on stage, making his debut in 1995 as Macliesh in the play “The Long and the Short and the Tall”. Since then, he has made many notable appearances, starting as Bernardo in “Hamlet” in 1998, which ran for three weeks at the Birmingham Repertory Theatre. Then for a year he was Angus in “Macbeth” (1999-2000), while from 2000 to 2001 he played Delio in the play “The Duchess of Malfi”. Most recently, Richard was Kenneth in the play “Love, Love, Love”, written by Mike Bartlett. Recognized for his deep baritone voice, Richard has used the elegance of his voice to extend his skills to voice acting and narration. He started in 2006 when he was asked by the BBC to record audiobook versions of the first four episodes of “Robin Hood”. The enterprise became rather successful, and since then, Richard has become a noted narrator and voice actor. So far, he has released eleven audio books, themajority of which are “Robin Hood”-based, and has narrated a number of documentaries over his career, including “Too Poor for Posh School?, “Forest Elephants: Rumble in the Jungle”, and “Homes from Hell” among many others. Some of his voice roles include Trevor Belmont in the animated horror series “Castlevania”. Where is Richard Armitage Now? Richard is working on several projects; in February 2018, he joined the cast of the upcoming horror film “The Lodge”, which is now in post-production, and is also working on the drama film “My Zoe”, scheduled for release in 2019. This skillful actor has received more than 15 nominations, and has won numerous prestigious awards, such as a Saturn Award in the category Best Supporting Actor for his work on the film “The Hobbit: The Battle of the Five Armies”, and a Chainsaw Award from Fangoria Chainsaw Awards in the category Best TV Supporting Actor, among many other awards and nominations. Do You Know How Rich Successful Actor, Richard Armitage Is? Since launching his career, Richard has featured in more than 40 film and TV titles, while he has also left his mark on stage, narration and voice acting as well. Some of the projects on which he worked were successful commercially, some of them weren’t, but they have all certainly benefited his wealth. So, have you ever wondered how rich Richard Armitage is, as of mid- 2018? According to authoritative sources, it has been estimated that Armitage’s net worth is as high as $13 million. Undoubtedly, his wealth will increase in the upcoming years, assuming that he successfully continues his career. Do You Know About Richard’s Personal Life, Affair, Girlfriend, Engagement, Wedding? When it comes to his personal life, Richard is one of those personalities who tend to keep their most intimate details hidden from the public eyes, however, the media managed to uncover some of the juicy details about Richard. Though sometime back he was rumored to be in a romance with Lee Pace, it all came to an end when he announced his engagement to Samantha Colley in 2016. The couple met back in 2014 while working on “Crucible”. There is no information about their wedding date. Is Richard Armitage on Social Media? Richard has used social media platforms to its full extent; from film, stage, and television, Richard has managed to expand his popularity to social media and become a star. His official Instagram page has over has over 77,000 followers, who have enjoyed a post from his daily life and career, such as this scene from shooting the “Berlin Station”. He also has a massive fan following on Twitter, with over 220,000 people, with whom he has shared details from his career, and personal life. If you aren’t already a fan of this prominent actor, then this is a fantastic opportunity for you to start following your favorite dwarf, just skip over to his official pages.